January 28, 2014, 9:46 a.m. 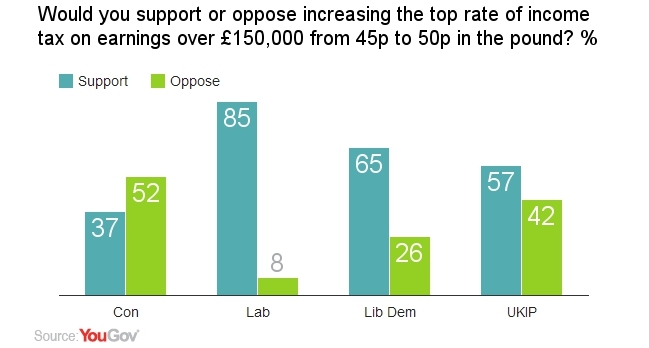 In an announcement to the Fabian Society conference on Saturday the shadow chancellor Ed Balls declared it would be Labour policy to increase the top rate of tax for those earning over £150,000 to 50p, up from its current level of 45p. 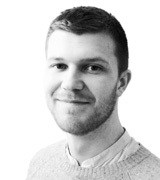 Now a YouGov survey for The Times finds that 61% support the increase while only a quarter (26%) oppose. Majorities of Labour (85%), Liberal Democrat (65%) and UKIP (57%) voters all support the idea, while Conservatives oppose it by 52%-37%. The plan came under criticism from business leaders who warned the pledge could threaten the economic recovery and cost jobs. 45% say the tax would help the economy (including 28% of Conservatives), 19% say it would damage it and 23% say it would make no difference. While the Institute for Fiscal Studies have today queried Labour’s claim that the tax will bring in more money, 50% predict it would while 29% predict it would not. Ed Balls said the tax – introduced by Labour in 2010 and cut by the Conservatives in 2013 – could help bring the deficit down in a fairer way. 40% say the tax should be introduced regardless of what it brings in, because it is morally right that the rich should pay higher taxes; 44% say it should not be introduced if it does not bring in extra money. 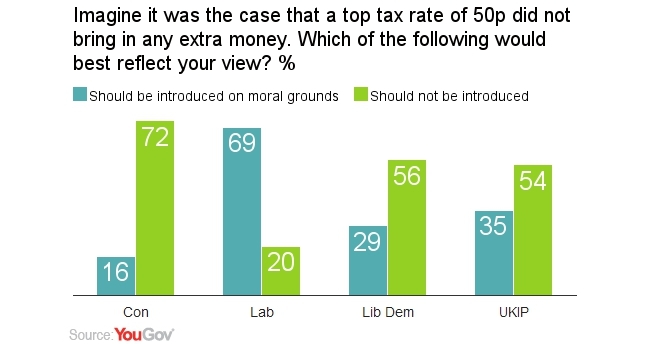 Although mainly Labour voters would support the tax on moral grounds alone (69%), still one in six (16%) Conservatives, 29% of Liberal Democrats and 35% of UKIP voters say the same.